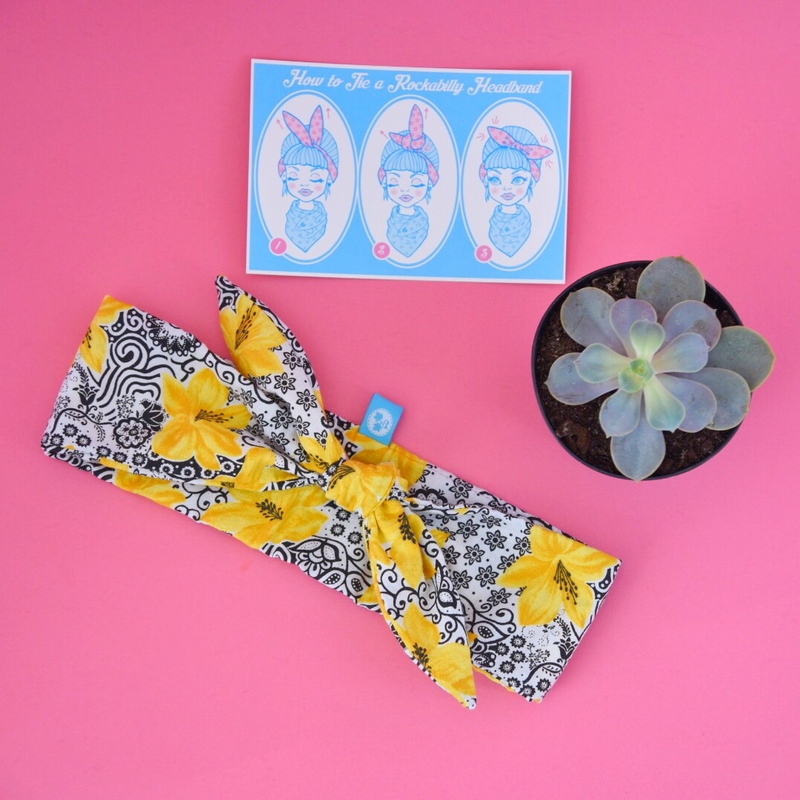 Home Rockabilly Headbands Rockabilly Headband: Black pattern with yellow florals. Color: Black pattern with yellow florals. Fabric content: 100% cotton (vintage). Size: ca. 93 cm x 7 cm. One size fits most. One of a kind or limited editions. 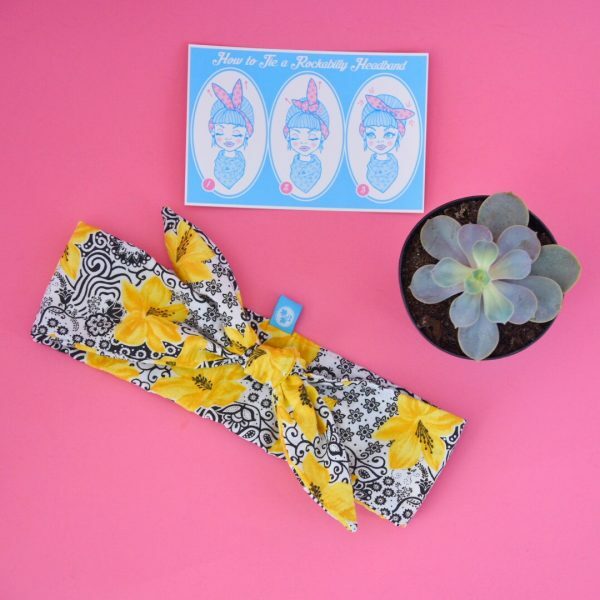 “You look so adorable!” That’s probably the compliment you’ll hear all the time when you wear your Rockabilly Head Wrap. At least that’s what my customers have been telling me! 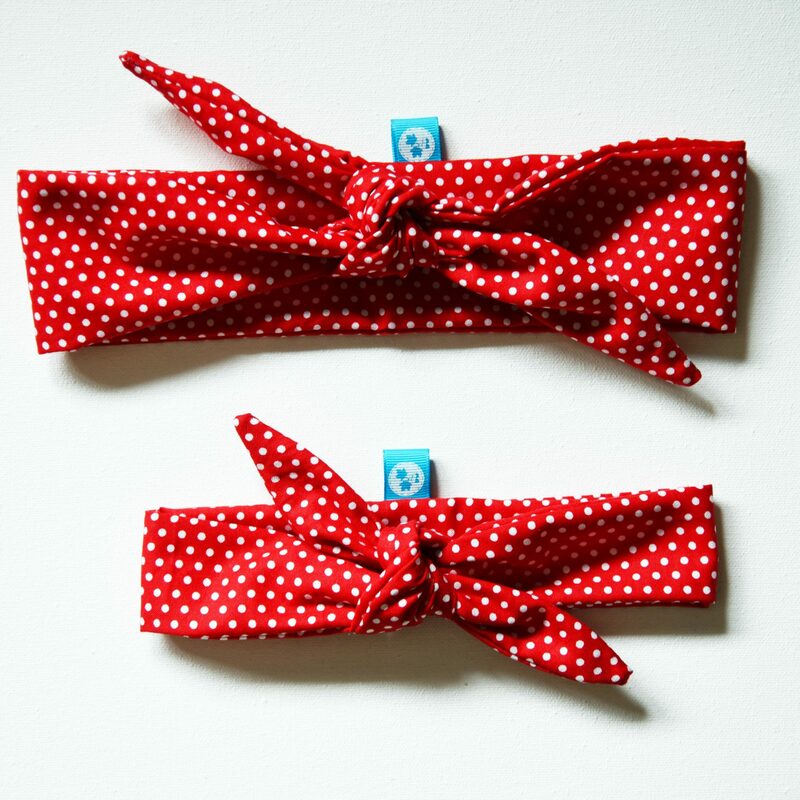 In 2011, I was still wearing rolled up bandanas when I rediscovered my sewing machine and realized I could finally do something about those pesky bulky rolls and that little scratchy triangle in the back when using traditional bandanas. 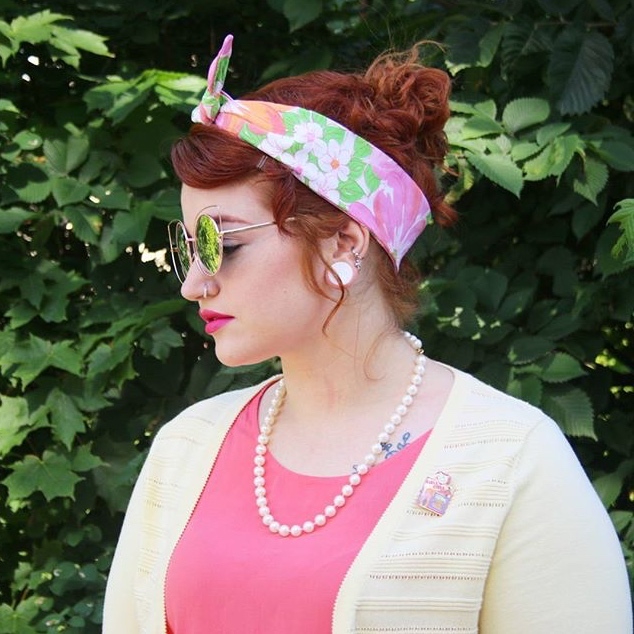 I designed my own headbands from the most darling vintage + retro fabrics and haven’t stopped sewing them since! Are you a bit afraid of how to tie it? Don’t worry, it’s easy-peasy! 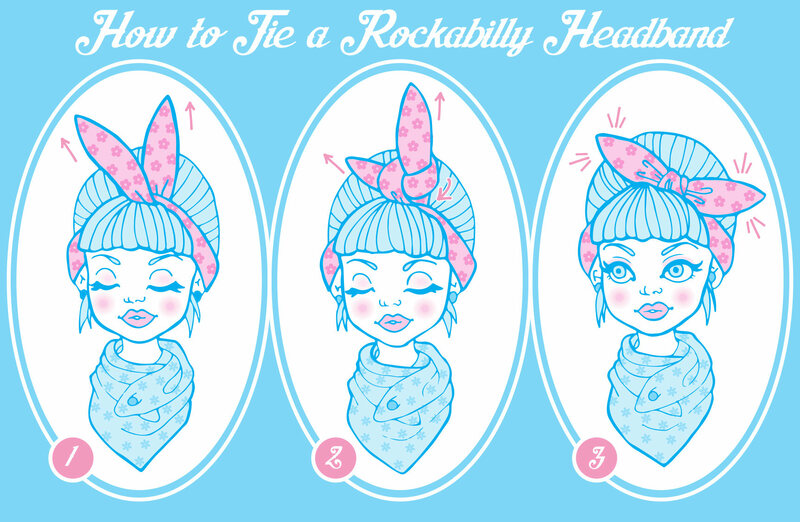 Let me show you how to tie the perfect knot: Rockabilly Headband Tutorial! Of course there are tons of other ways to wear your Headband, you could tie it in the back or even around your neck as a skinny scarf! Find more inspo right here. 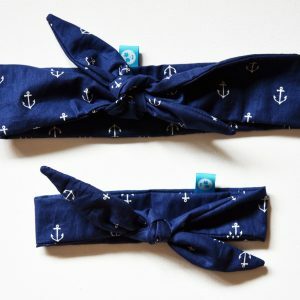 Baby + Mom, anchor print headbands, navy blue, set of two. Mommy and me headbands.